Our vision for WISdome is a network of weapon owners, providing extended functionality for weapon maintenance and security through IoT. The product will mount weapons and connect to nearby Wi-Fi hotspots, sending information to our cloud. We plan to add many unique modes for the weapon owners. Modes that will alert the owner if the weapon has been used, taken out of storage, left a certain area and much more. The product will also keep track of shots being fired and places visited often. The network will also provide public places such as banks, restaurants and so on with information about the identity of armed civilians near it. Our software will be installed on routers, so that they search our devices and let them connect. Security forces will be alerted in case of an emergency that armed civilians are present, and will be prepared to distinguish between authorized armed civilians and dangerous unauthorized armed people. Schools and hospitals will be able to prevent non-authorized armed civilians from entering. The small system will mount weapons, owned by people who want it. In other words, the product is only meant for “good guys”, so the product will be relatively easy to remove. Due to the lack of time, the reality is far from the vision. So far, the device connects to a certain Wi-Fi, and sends a message to the cloud with the routers MAC address and the devices ID (so far there is one device so the id does not matter). In the time frame we were given we were able to build a bit from the UI. 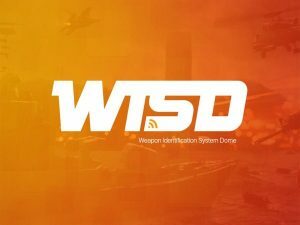 In the main page of the application we are planning to build a “Dashboard” which will contain charts and information about the weapons and networks they own like entries of guns to a network of yours or movements of the guns you have registered to the system. 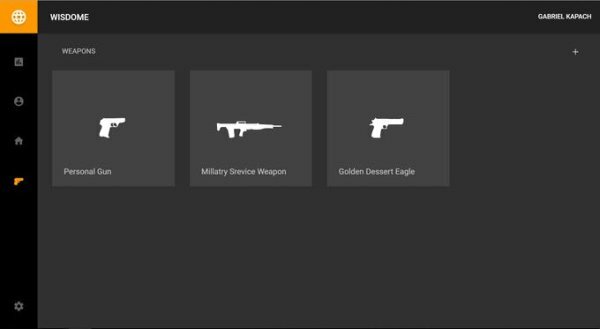 You can also view the weapons you have registered to the system and register new ones, so other users will be able to add you to thier allowed weapons in a specific network. And also when you will register your weapon we will be able to alert you you when your gun is in a place that he is not supposed to be.